Not So Cli-Shéa: DIY Iron On Embroidery Hoop Art with Cricut EasyPress! 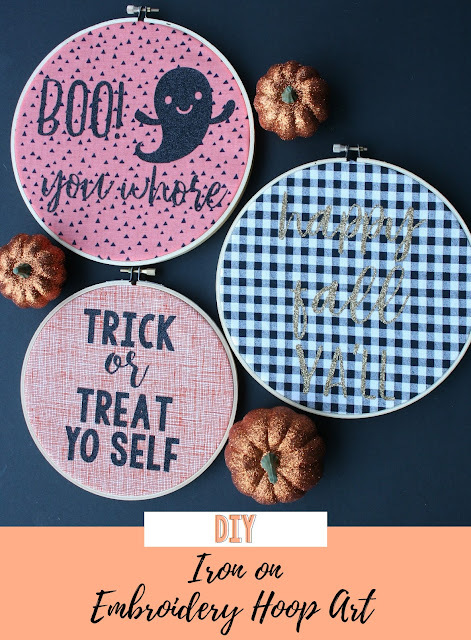 DIY Iron On Embroidery Hoop Art with Cricut EasyPress! I'm so excited about today's post! 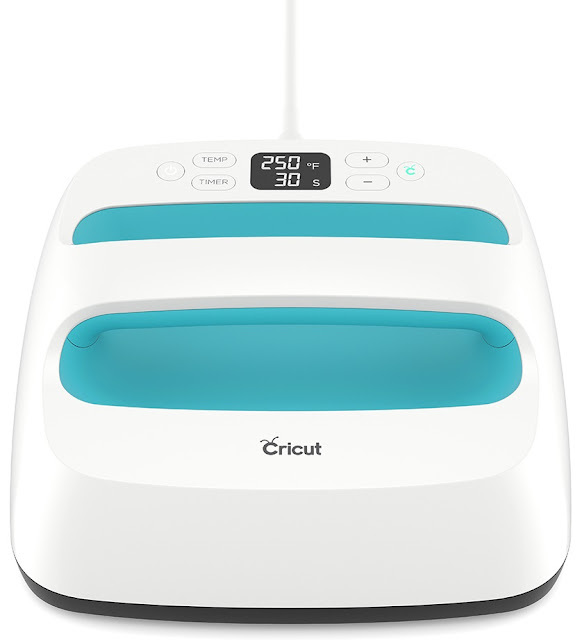 This summer I had the extreme pleasure of being invited to attend the Cricut Mountain Make-a-thon where Cricut announced several new products, the BrightPad, the new Maker machine and what I'm going to be talking about today... the new EasyPress! 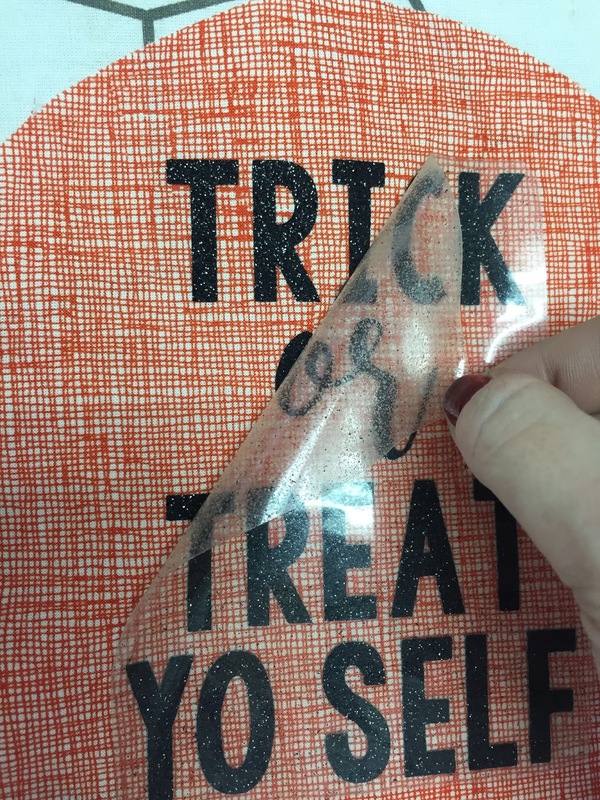 If you're familiar with Cricut, you are also familiar with Cricut Iron On. While using a tradition iron works for these projects, it doesn't always give the best results. While I was at the make-a-thon I found out that it's because with a traditional iron the temperature can actually vary by two HUNDRED degrees. 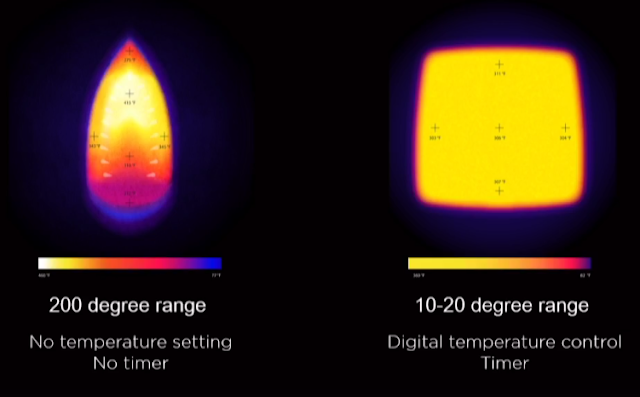 You can see that the new EasyPress has a consistent temperature within 10-20 degrees. On top of that, it is also a 9 inch by 9 inch square, meaning it covers more area at once. Not only can you set the temperature, you can also set a timer on it to heat the exact amount of time you need! Cricut provides a handy reference chart to determine correct time and temperature settings for your project, then just apply gentle pressure, and when the beep sounds, you’re done! With adjustable heat up to 350℉ (180 C), it’s ideal for foil, glitter and metallic projects as well as large and layered projects. Helpful safety features include an insulated resting base and auto-shutoff feature (which is perfect for people like me who leave everything from curling irons to glue guns on). EasyPress is lightweight, portable, easy to store, and compatible with major brands of heat-transfer material. And of course, it’s a perfect complement to Cricut cutting machines! Today I'm going to show you a super easy way to create a totally custom iron on embroidery hoop project using my EasyPress! I started by designing my file in Cricut Design Space. Then weed your vinyl. The BrightPad makes weeding so much easier. Using Cricut's quick reference guide that came with my EasyPress, I set the temperature and time that I needed for my project. And voila! Great results every time! And just like that you have a super easy (and totally custom) embroidery hoop project! You could make with with birth stats for a nursery or with an empowering quote for above your workspace! The possibilities are endless! If you create your own I'd LOVE to see it! Well written text, great content, hopefully many such posts. Thanks for this post!